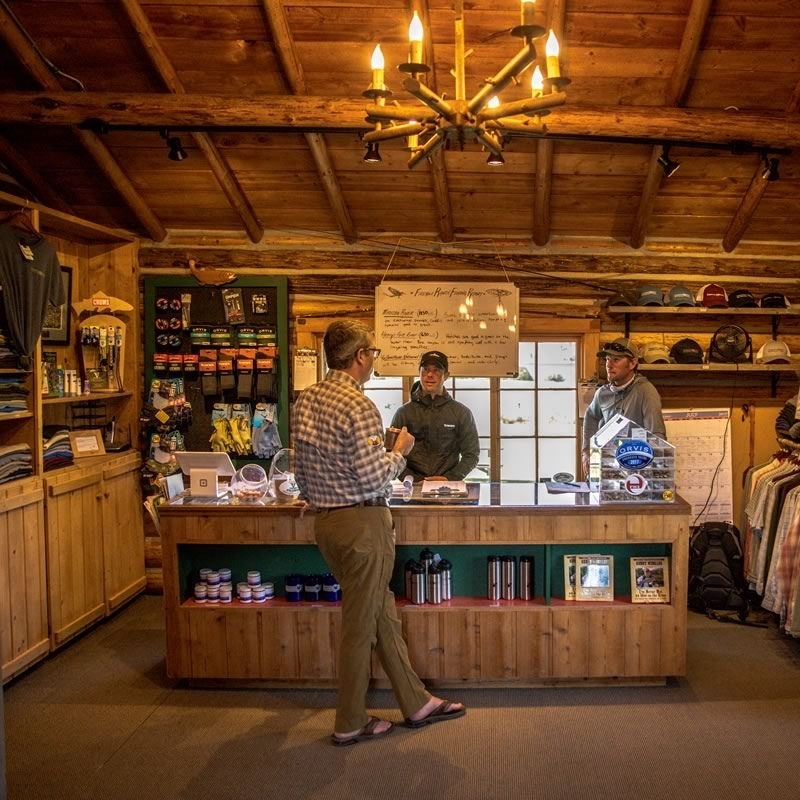 Visit our Orvis Fly Shop for fly fishing gear, apparel and mementos of your Montana adventure. We are proud to offer you a fully stocked Orvis fly shop. Whatever your need, we will be happy to assist you in finding the latest in gear, clothing or flies. Our robust selection of flies covers all the area waters, as well as “local favorites.” The majority of our flies have been tied by our own professional guide staff. Our distinctive Firehole Ranch shirts, mugs, fleece, and hats make great gifts for yourself or someone special. We offer a full line of rental equipment, including rods, reels, waders and boots. Use of rental gear is complementary with guided fishing trips.